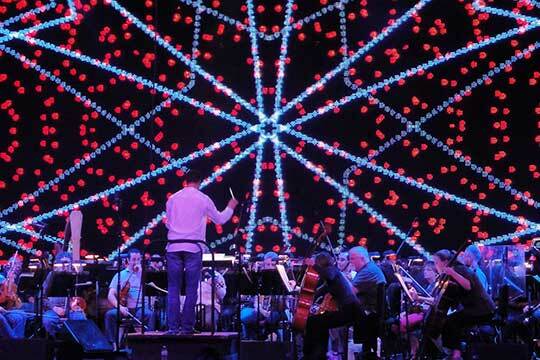 Four Dimensions is a single movement work for orchestra lasting under seven minutes that incorporates surround sound electronics, solo electronic wind instrument (EWI), and real-time visuals. Conceptually, the piece represents a journey through the mathematical dimensions: zero (on/off), one (points become lines), two (lines become planes), three (planes become volumes), and four (volumes enter an imperceptible fourth dimension). Contact Keith Lay to discuss performing Four Dimensions with your orchestra or in your venue, or including it in your program. 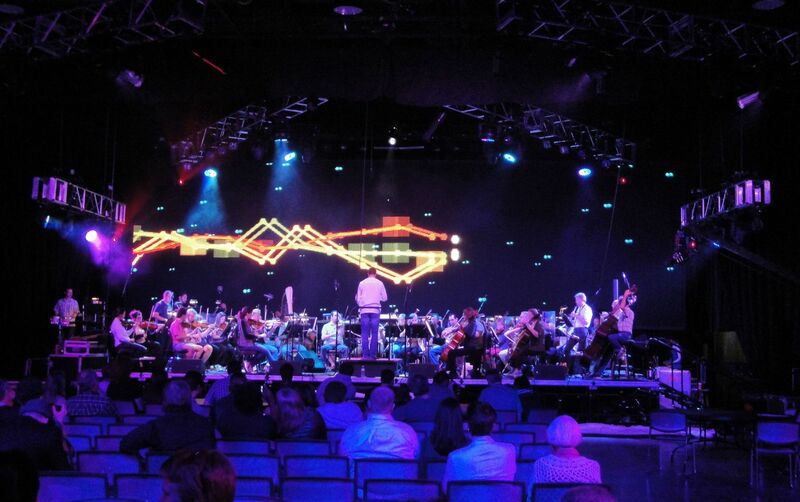 2012 – Concert of the Future, with composer Keith Lay and the Orlando Philharmonic Orchestra. Full Sail University, Orlando, FL. 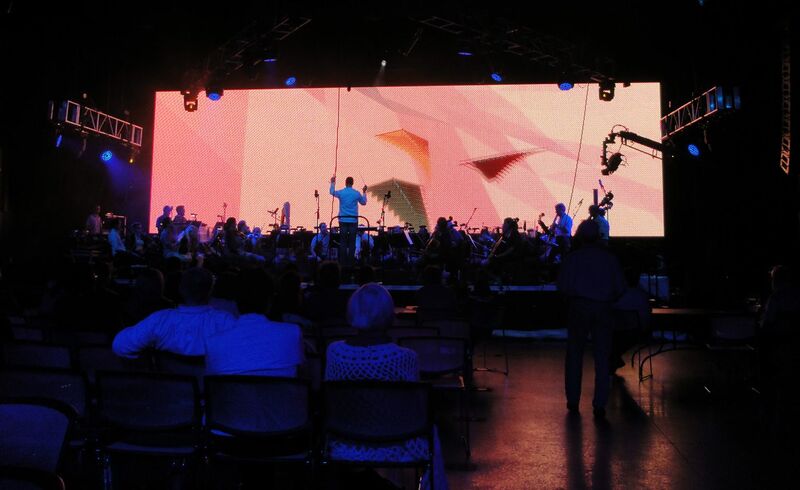 Four Dimensions was commissioned and performed by the Orlando Philharmonic, with soloist Brian Smithers, conducted by maestro Dirk Meyer, and supported by Full Sail University. Marc Pinsky created software to integrate the Wiimote with the audio and visuals. Photos courtesy Jim Shelton. Four Dimensions was a collaboration with composer Keith Lay. We conceptualized the piece together as an imaginary exploration of the mathematical dimensions. Keith then composed the piece, sending me previews as he refined the score. When the music was nearing completion, I created and refined the real-time artwork. 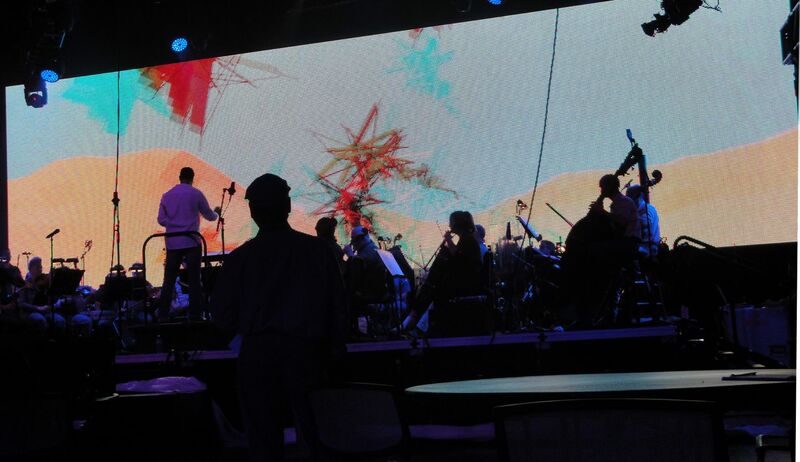 During the concert, I performed the visuals using my laptop and iPhone, following the conductor along with the rest of the orchestra. Sean McKeown provided lighting.